Furniture as it was made 200 hundred years ago, one piece at a time, just for you. Quality handcrafted 17th & 18th century reproductions. 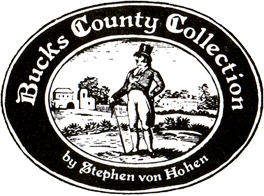 Bucks County Collection brings you custom kitchen cabinets, bath vanities and library built-ins in addition to 17th and 18th century New England, Pennsylvania German and Shaker Reproduction furniture - each piece built by hand by one artisan. All of our furniture is made with hand tools and top quality woods in many finishes. Each piece is different reflecting the hand-working and finishing skills of the artisans. Contact us today to get started!